Fans of Tunworth - Britain's gorgeously creamy answer to Camembert - might know the name Julie Cheyney. She founded the company that makes the gooey soft cheese with Stacey Hedges in 2004 and has now struck out on her own with a new unpasteurised cows' milk cheese called St.Jude. Her new company, White Wood Dairy, will begin production of the Saint Marcellin-style cheese this month. “There is no other cheese like St.Jude being made from cows' milk in Britain at the moment and I aim to make her delicious. One that can be eaten at a week old, young and fresh, or a month old, more broken down, unctuous and stronger,” said Cheyney. Saint Marcellin is made in the Rhône-Alpes region of France in small wheels that are so delicate they are often packed in terracotta pots. 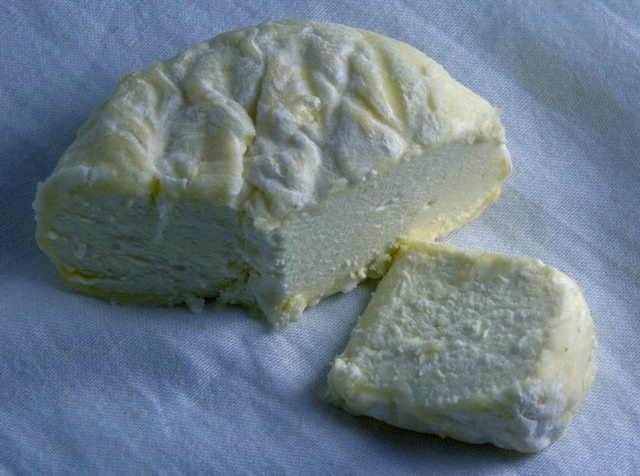 The cheese typically has a creamy consistency and mushroomy aroma thanks to the bloomy white mould on the rind. Cheyney's new cheese is made with unpasteurised milk sourced from local farmer Sam Martin of Wallop's Wood Farm, Droxford, who rears cows that are a cross between Holstein, Friesian, Swedish Red and Jersey breeds. Drawing on dairy farming techniques from New Zealand, the herd grazes outdoors for as long as possible, with the cows only brought in for a few months of each year. 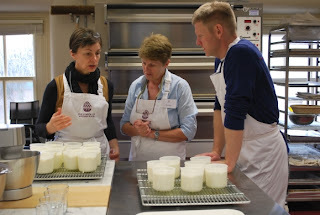 Cheyney learned about the farm when Sam Martin's wife, Anna, attended one of her cheese courses at the School of Artisan Food. As well as teaching at the School of Artisan Food, Cheyney has also worked as a consultant with Neal's Yard Dairy since she left Hampshire Cheeses (the company that makes Tunworth). “Throughout my transition from being one half of Hampshire Cheeses to now I have been supported by Neal's Yard Dairy. I have worked there the last two autumns in the run up to Christmas. Owen Bailey, the head affineur, has been my boss and I have learned so much about ripening,” she said. Just finished off a mature St Jude together with raisin and walnut bread and a fresh fig. Truly a magnificent combination. Delicious! Vermeer: the world's best cheese?